This ribbon sash is ¼” wide. 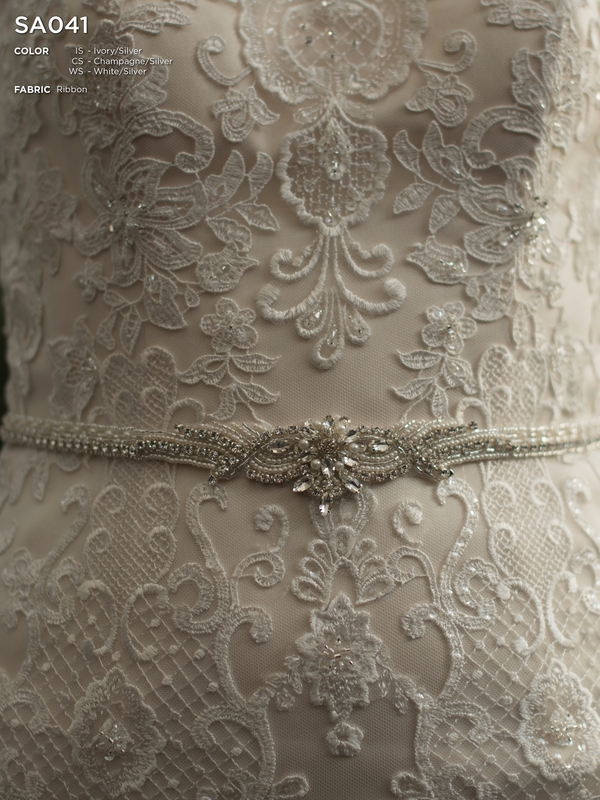 It features a braided center that becomes a heavily beaded strip of rhinestones, seed pearls, and silver beading. Available in Ivory, White, or Champagne. Fabric: 1/4" wide ribbon sash with braided center continuing to a heavily beaded strip of rhinestones, seed pearls and silver beading.